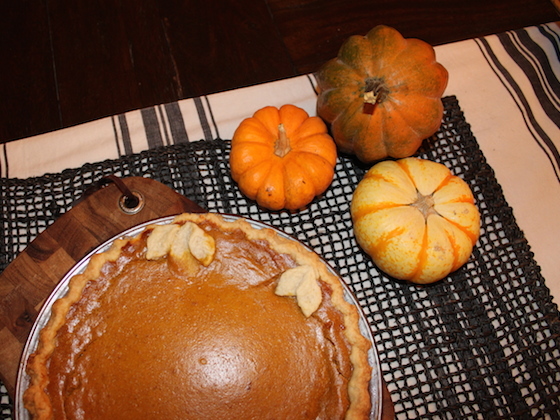 Chocolate chip cookies, passionfruit mousse, blondies, and now pumpkin pie?! I know, I’ve been posting way too many sweets lately (like that could ever be possible, haha)! I guess this is proof that I really am a desserts type of gal. What can I say, baking is my passion! To be honest, most of my meals recently have been super, super simple. That’s why I don’t have many new savory recipes for you. I’ve been busy with work, friends, family, and parties, so I’ve mostly been eating easy dishes like pasta, eggs, and lots and lots of roasted veggies. But I do have a few ideas for some yummy fall dishes, so keep an eye out. 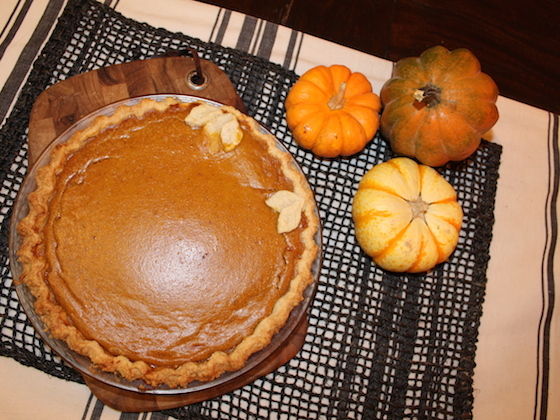 In the meantime, this delicious pumpkin pie should keep you satisfied. It’s not too difficult nor too complex, just the perfect combination of sweet maple syrup, fragrant pie spice, and lots of pumpkin. The dough is utterly flaky and super buttery. Consider this the perfect addition to your Thanksgiving table, or even a sweet treat for a dark autumn evening. Enjoy! P.S. I took these photos with my new camera – how awesome are they?! I’m so excited to start learning exactly how to use it, so I can continue to post better and better content for all of you! To make pie dough, whisk flour, sugar, and salt in a large bowl. Cut butter into small chunks and work into flour mixture until large crumbs form. Slowly add cold water, stirring with a fork, until a dough forms. Knead dough into a disk shape, wrap in plastic wrap, and place in the freezer for fifteen minutes. Meanwhile, to make filling, whisk eggs in a large bowl. Whisk in cream, then pumpkin puree, then remaining ingredients. Preheat oven to 350°. 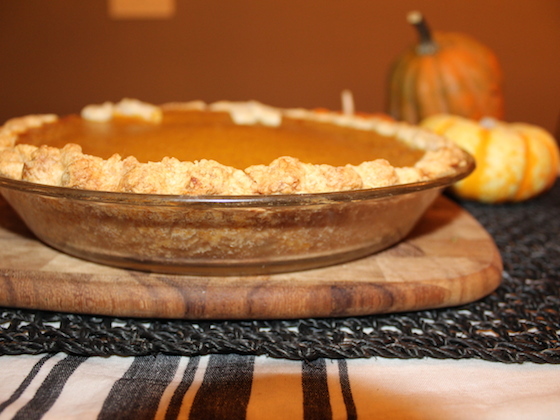 Roll out pie dough and fit into a 9-inch glass pie pan. Cut off any excess dough and then crimp edges. Place in freezer for an additional five minutes. Pour filling into cold pie shell. Place carefully in the oven and bake, rotating halfway through, until filling puffs and only jiggles slightly when pie is moved, about one hour. Cover crust with tin foil if it starts to brown too much. 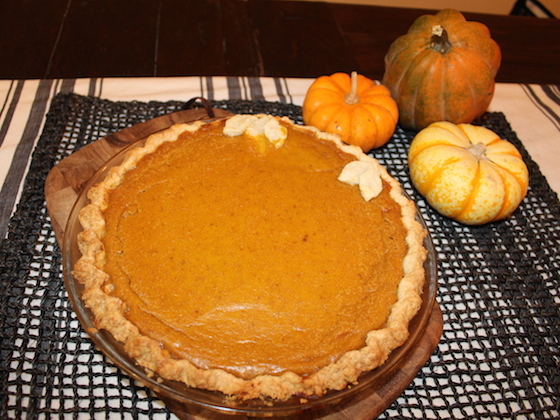 Let pie cool to room temperature for about an hour, then cover and refrigerate. Remove from fridge fifteen minutes before serving.